The history of Cvstos’ appearance on the scene of the contemporary watchmaking industry is closely connected with the story of two talented partners. Sassoun Sirmakes and Antonio Terranova searched for new vision and inspiration in order to create original, extraordinary, and futuristic horological devices. 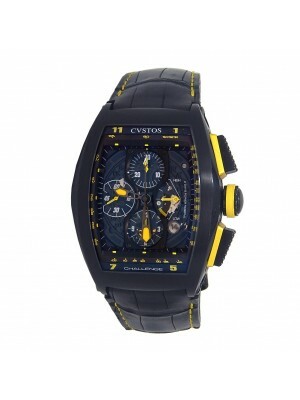 The brand’s name “Cvstos” was taken from the Latin language and means “guardian.” No other title would be appropriate to express the vision reflected in perfect and elegant watches of the famous brand. 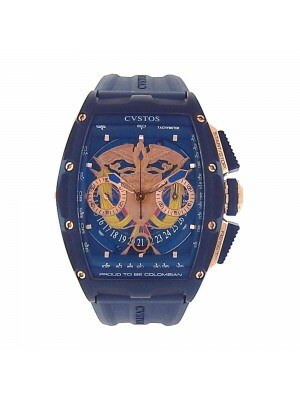 Cvsto watches have combined the innovative approach to watch production and a unique, luxurious design since the brand was officially registered in 2005. The result of the cooperation between Sassoun Sirmakes and Antonio Terranova was the one-of-a-kind Cvstos technology that is much more than an ordinary marketing trick. The Cvstos company has recently registered this innovation - the precious material that combines titanium and palladium, which is used for improving the rotor group operation. Watches utilizing this exceptional mechanism have quickly gained popularity among the wider public that always searches for something new. Today, these models are highly popular among people who prefer high-quality timepieces that will be working for many years. The philosophy of the brand is based on four main principles: craftsmanship, effectiveness, elegance, and high quality. These ideas determine the way Cvstos timepieces look and highlight the company’s focus on uncompromising quality and a svelte profile. Numerous connoisseurs from all over the world admire both Cvstos new models of horological devices and its pre-owned watches. It is mainly because this house provides people with beautifully finished, elegant timepieces that suit any occasion and will serve for many generations. Every brand producing luxurious, high-end watches does its best to create remarkable and unique timepieces in order to attract attention of customers from different countries. One can confidently claim that the Cvstos house knows how to survive in this demanding and highly competitive market. 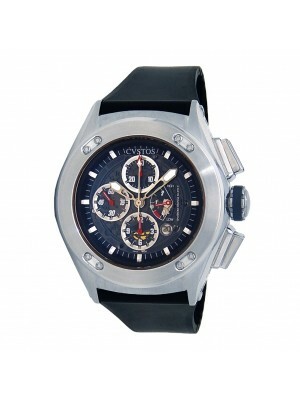 The impeccable quality and design of its watches make it one of the leaders in luxury watch manufacturing. 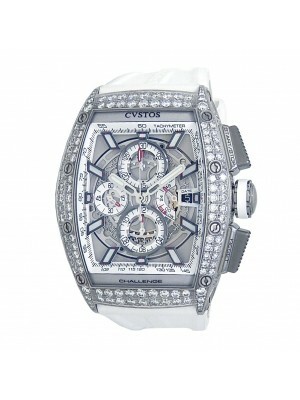 Timepieces made by Cvstos’ masters are distinguished by their style and delicacy despite the futuristic and novel look. The co-founder of the brand called Antonio Terranova is the main designer of the company, and this outstanding man puts a piece of his soul and talent in each model produced by the brand. As a result, customers can enjoy timepieces that they really want to buy because of their uniqueness and beauty. Of course, Terranova’s great experience plays an enormous role in his ability to create such masterpieces that are worth to be considered miracles of Haute Horlogerie of the past, present, and future. Antonio Terranova worked as a freelancer for such famous companies as Ebel, Breitling, and Zenith, so you can imagine his talent and commitment. Another founder of the Cvstos fashion house is Sassoun Sirmakes - the son of famous Vartan Sirmakes. His father was one of the chiefs of the Franck Muller Watchland Group. So, his son has been acquainted with the world of watchmaking business since his early years. There is nothing surprising that this person decided to establish his own production of fine watches. As you can see, Cvstos products were bound to succeed.